dopl3r.com - Memes - When someone at work asks me how im doing today IF I WAS A BIRD ID FLY INTO A CEILING FAN. 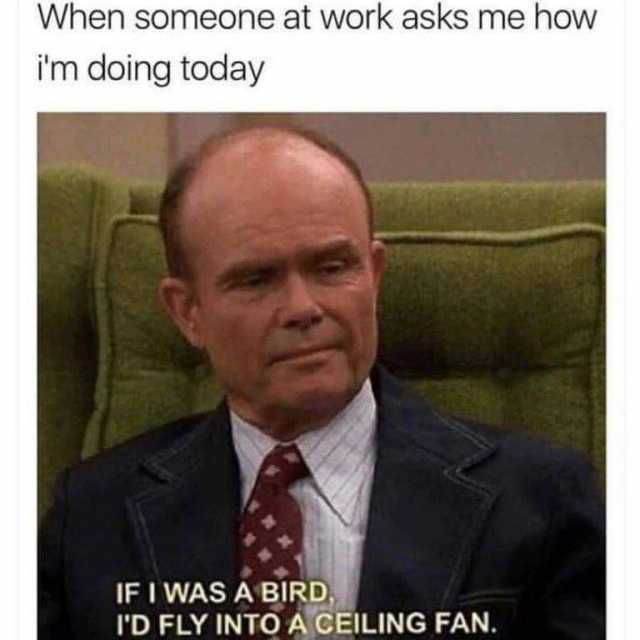 When someone at work asks me how im doing today IF I WAS A BIRD ID FLY INTO A CEILING FAN. Looks like someone got a toy with their happy meal.